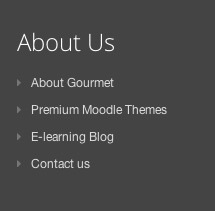 Some of our customers who bought our responsive Moodle theme “Gourmet” wanted to configure the three theme footer content blocks the same way we did on our Moodle theme demo site. 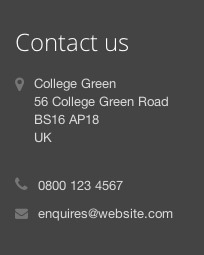 So we’ve decided to share the HTML code used in our demo site’s footer content blocks for you to use. 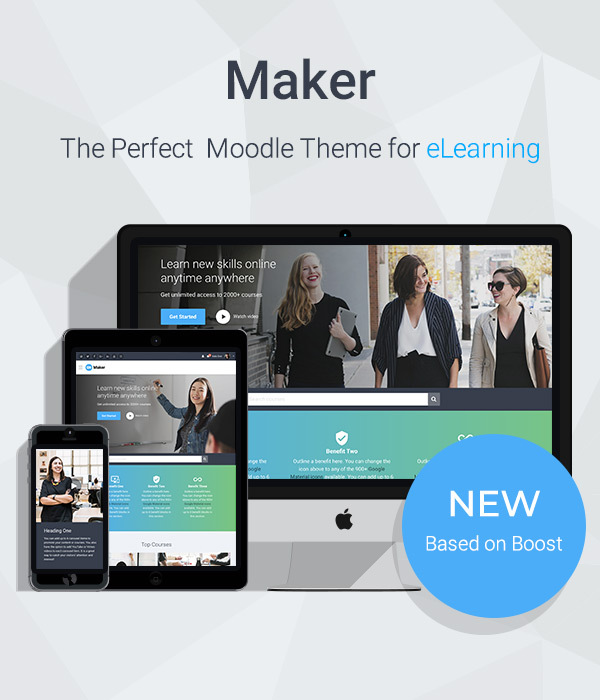 If you are using Gourmet or any Bootstrap based Moodle theme with footer content input fields you can customise the text/links in the code and use it in your Moodle site.